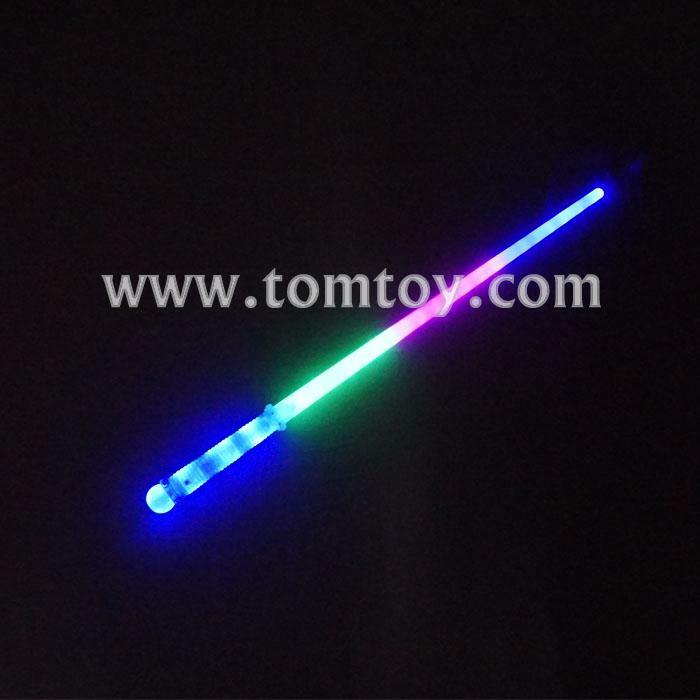 1.Represent yourself with style next time you walk onto the battlefield with our Tri Color Light Saber Swords. 2.Each sword is approximately 28" long and has a tri-colored blade in green, pink and blue. 3.These swords also feature a transparent handle with two cool decorative stars that lie flush against both sides of the blade. 4.Even your enemy is sure to be impressed when you step up using our brilliant swords.